2nd Prize Nature Stories. Stefano Unterthiner, Italy, for National Geographic magazine. 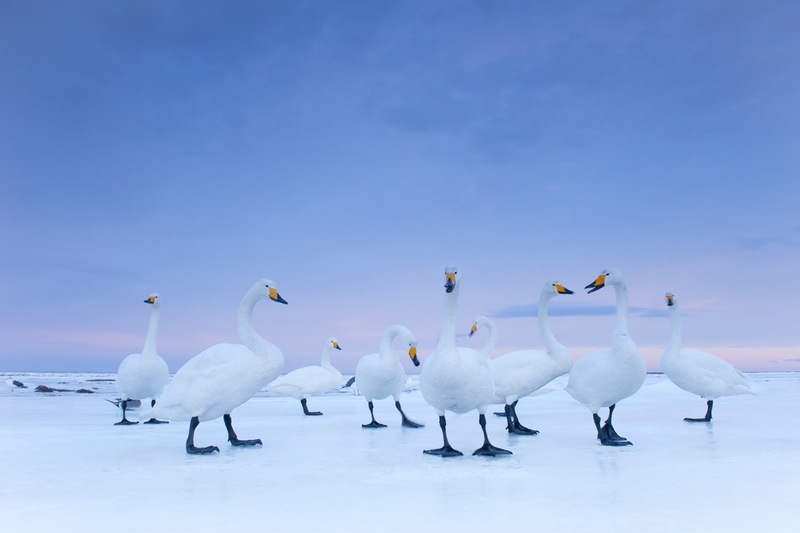 Whooper Swans at dawn, Hokkaido, Japan, January.